Last time I wrote for you I discussed the preliminaries and blending of the first Lonely Grape wines – check it out here. This time I will be discussing the bottling process. I had heard about bottling but I had not previously seen what happens. I will not bore you with the details of finding the correct bottling line but in this case it was crucial the bottling line could handle small runs – in my case I was looking to bottle 600 L of Shiraz and 300 L of Cabernet. 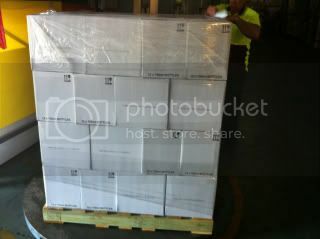 Even thought it seemed like a lot of wine for me, in the world of wine bottling these volumes are minuscule. One of the issues I had was that when bottling there are wine losses – you nearly had to pick me up off the floor when I was told to expect at least 50 L of wine from each bottling. With such small bottling runs this type of loss was unacceptable. Anyway after finding the preferred bottling line (who were confident of less than 5 litres of wine losses) and organising the wine delivery the day finally arrived. I will admit I was more than a little excited and nervous over how it would all go. When I got there I saw machinery that was fascinating – well for me anyway. 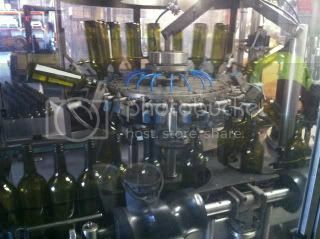 First step (after placing the bottles on the line) was the bottles got cleaned. I was expecting water cleaning but in this case it was compressed air. I was told the idea for the use of compressed air was so there were no issues with water mixing with the wine and thus any resulting dilution. 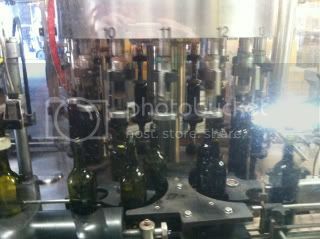 Then the bottles get filled. 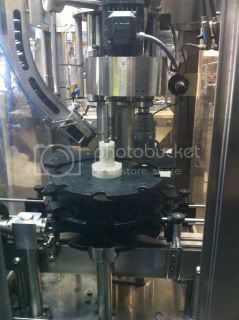 In this case a screw cap (Stelvin Closure) is added and fixed. Off to the packaging section. 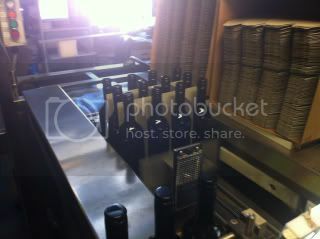 The cartons are placed onto a palate and plastic wrapped to ensure the cases do not fall in transit. One very happy customer. 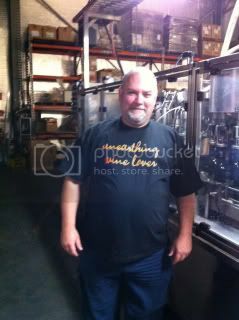 By the way the bottling line was at Wine Bottling Solutions in Lonsdale. This entry was posted	on Sunday, December 15th, 2013 at 10:02 pm	and is filed under McLaren Vale, Wine. You can follow any responses to this entry through the RSS 2.0 feed. You can leave a response, or trackback from your own site.